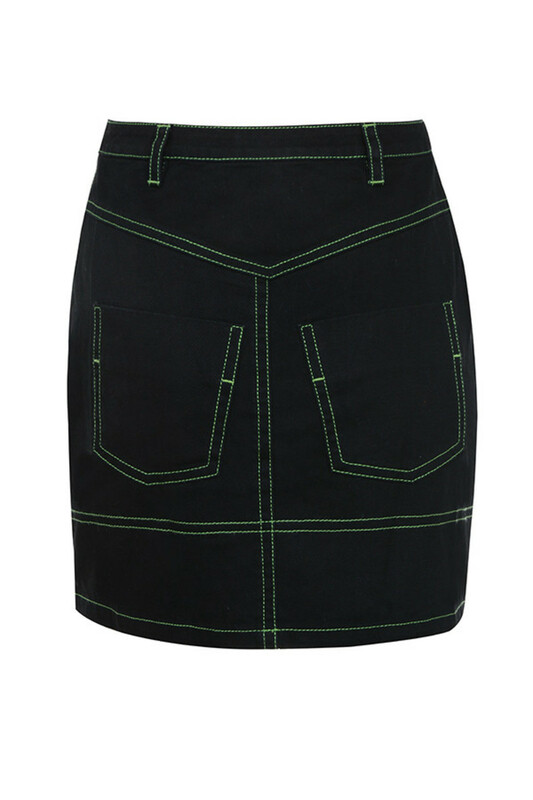 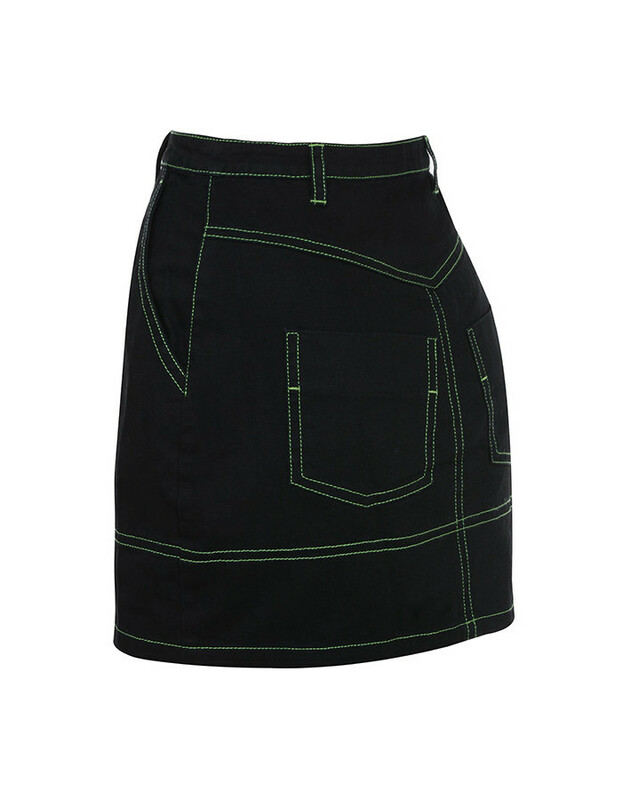 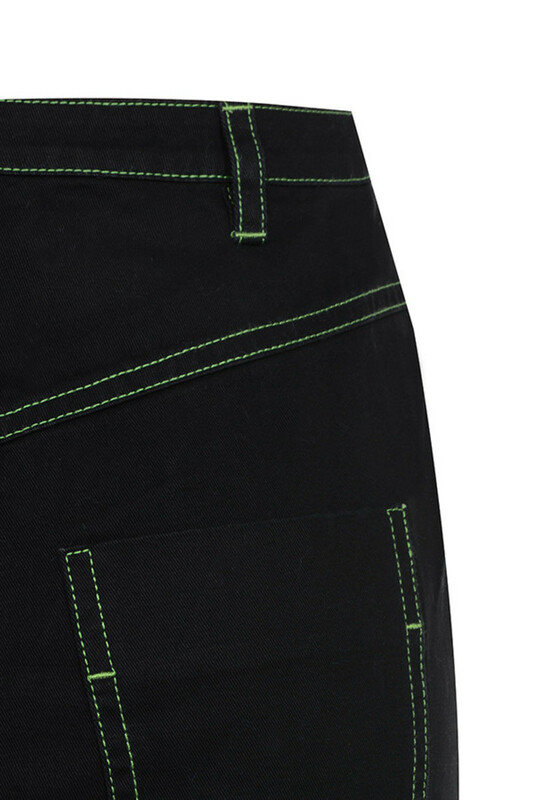 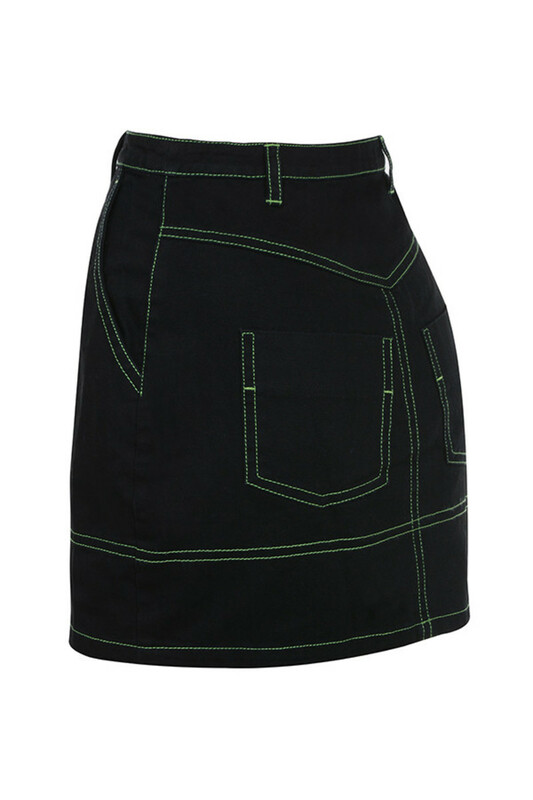 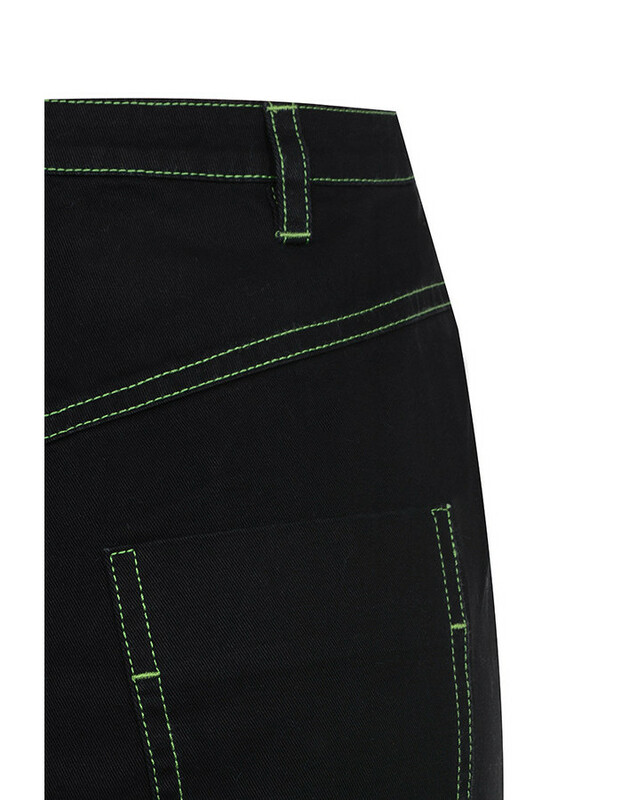 This super fly denim mini has a classic cut, shorter length and has bright green top stitching. 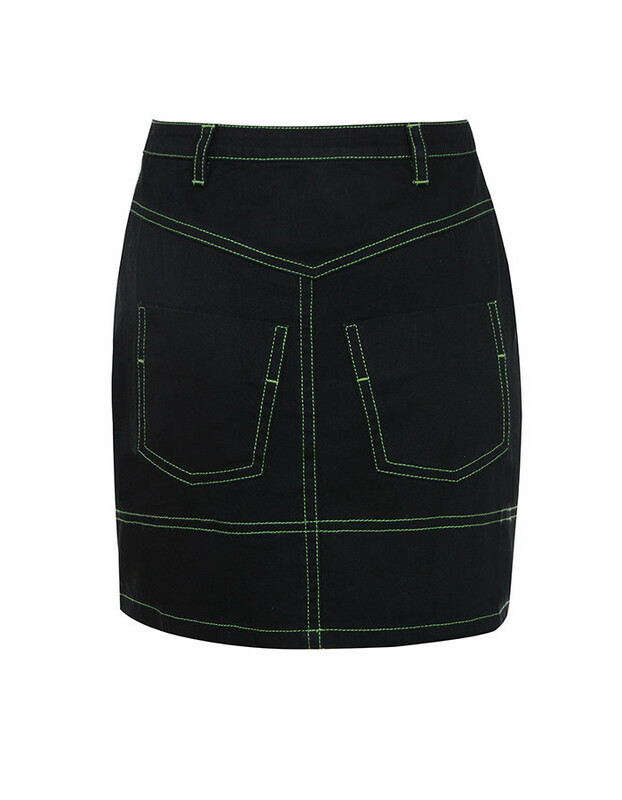 We love this teamed with a bodysuit or cropped top and ankle boots and our 'Roaming' Jacket for a head to toe look. 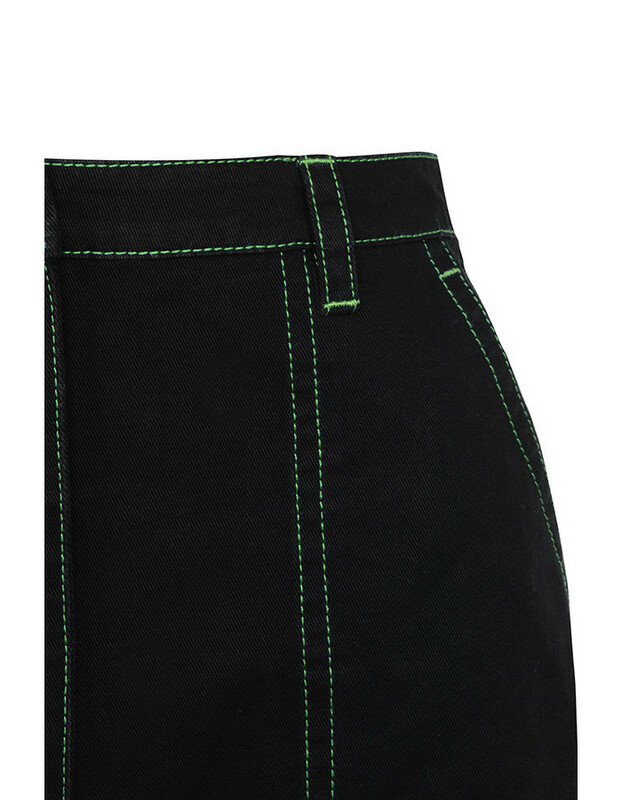 Made from black stretch denim.